Update: the rehearsed recording of Act I can now be listened to online. 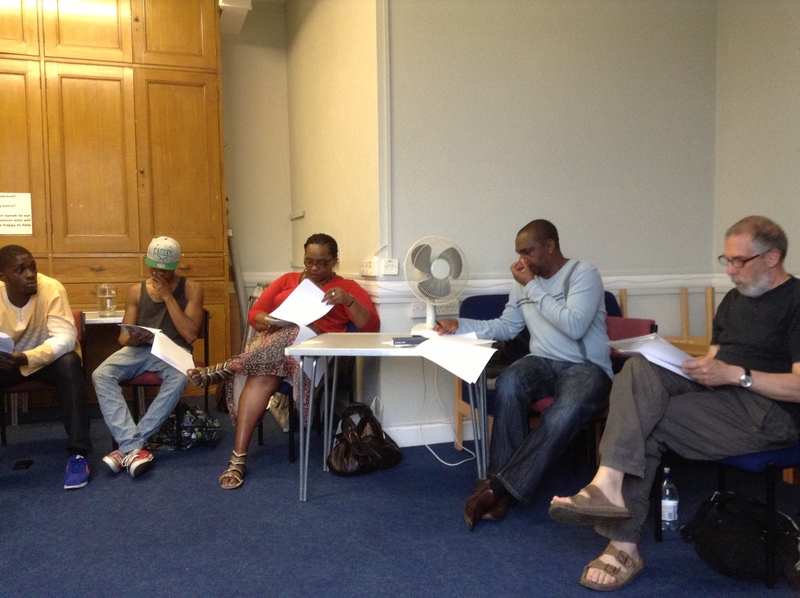 On 19 June 2013, Dr Victor Ukaegbu, Dr Jumai Ewu and Richard Hollingum were joined by five performers (Original Who Can Tell?…! 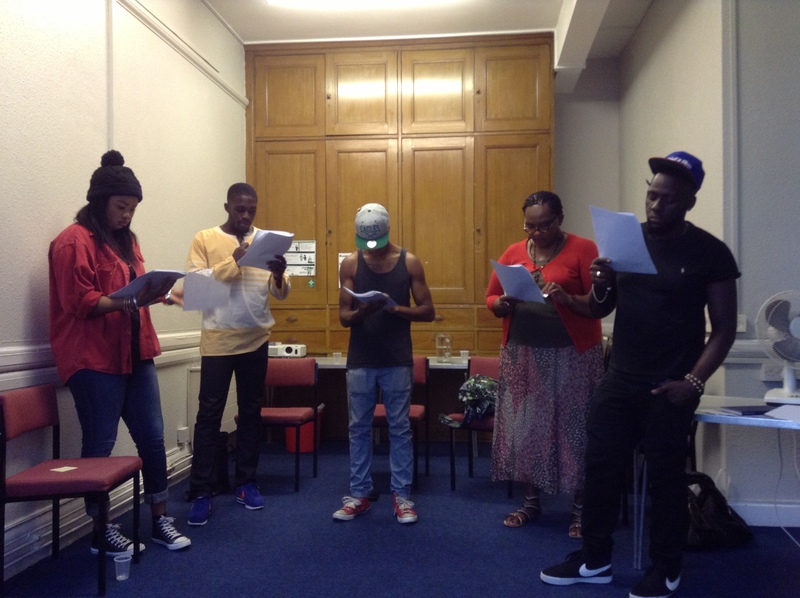 lead actress, Myrle Roach and four undergraduate drama students from the University of Northampton) to rehearse the first episode of Oladipo Agboluaje’s new radio play, Such A Long Journey. This is a freshly commissioned piece by the University of Northampton celebrating and enhancing Oladipo’s original contribution to Victor, Jumai and the JAWI Theatre collective’s 2008 production, Who Can Tell?…!. Coincidentally, the year 2013 marks the 65th anniversary of the Windrush. Open readings and showing of work in progress are important aspects of Jawi’s creative process , which enables the company to engage with, and to involve the community. Therefore, it was fitting that the rehearsal took place in the Doddridge Community Centre. It was fascinating to watch the rehearsal process, see the characters develop and learn about how performing for radio differs from working on the stage. It was also interesting to see how discussions dealt with issues raised by the script. 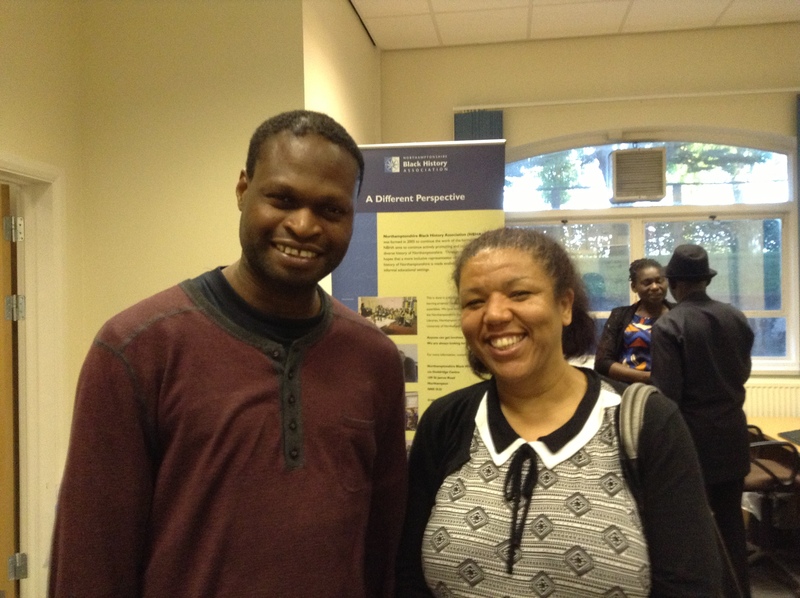 This session was video recorded by Carl Kirk and the directors and performers were joined by three University of Northampton postgraduate students who offered their feedback at the end of the session as well as Nikki Taylor from the Northampton Black History Association. Ukaegbu, Hollingum and the cast. Set in 1948 on the HMS Windrush, the first episode chronicles the beginning of the journey of a group of immigrants from Jamaica bound for Tilbury Port and sets the tone for things to come. It is hoped that this first episode of Such a Long Journey will be recorded and broadcast on Northampton’s Inspiration FM very soon as a pilot of a longer serial of the play. Posted on June 28, 2013, in School of the Arts and tagged Inspiration FM, Jumai Ewu, Oladipo Agboluaje, Such A Long Journey, Victor Ukaegbu. Bookmark the permalink. 2 Comments.